Winning Team of Macau JetSaver Light Challenge – PassportChop! 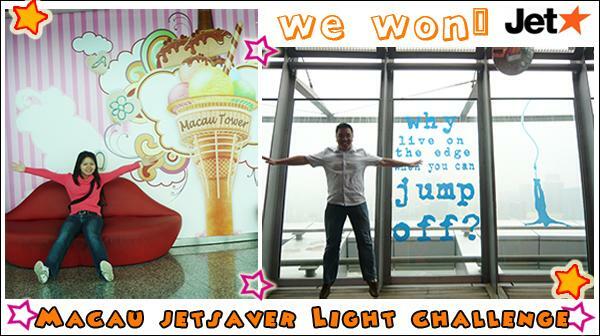 Based on PassportChop’s blog entry about our experiences in Macau, we WON the JetStarAsia Macau JetSaver Light Challenge!! From these 10 blog entries, one team will be awarded a $1000 JetStar travel voucher to a destination of their choice. We will be using this voucher for a short trip to Bangkok during the Good Friday long weekend in April. 🙂 Look out for our blog posts on Thailand in April! 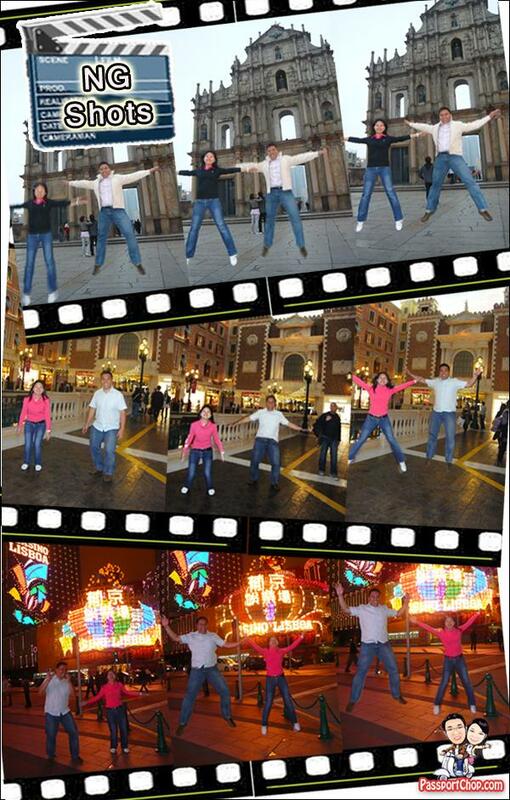 The requirements for the blog entry for submission to JetStar include a photo of our star jump at the most memorable place in Macau. 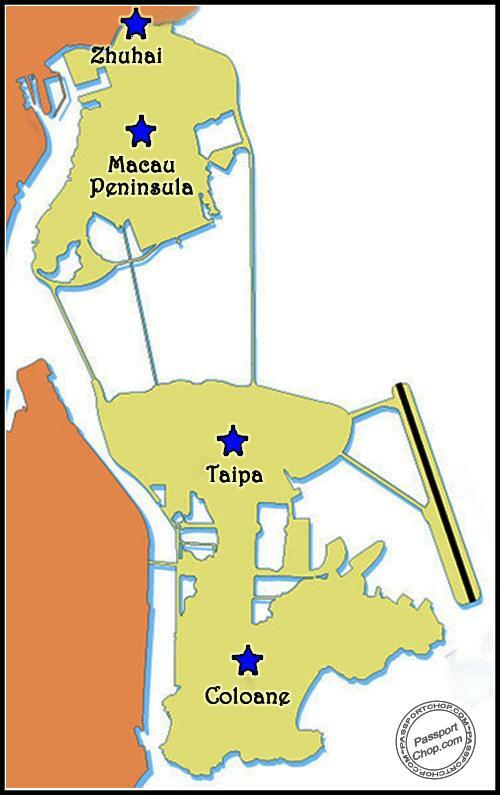 However there were so many fun and interesting places we visited that we ended up attempting jumps around Macau. :-). Not all were as successful as can be seen in the number of NG shots we collated!